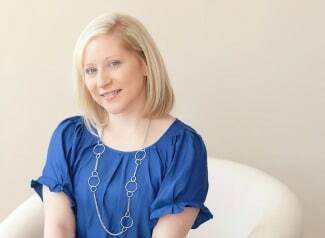 Hey Girl Events designers are a fabulous duo of sisters who have been in the event planning business for 10 years, but decided to join their creative forces and work together! This is the result of their amazing styling together – a really fun and whimsical Kids Easter Table. 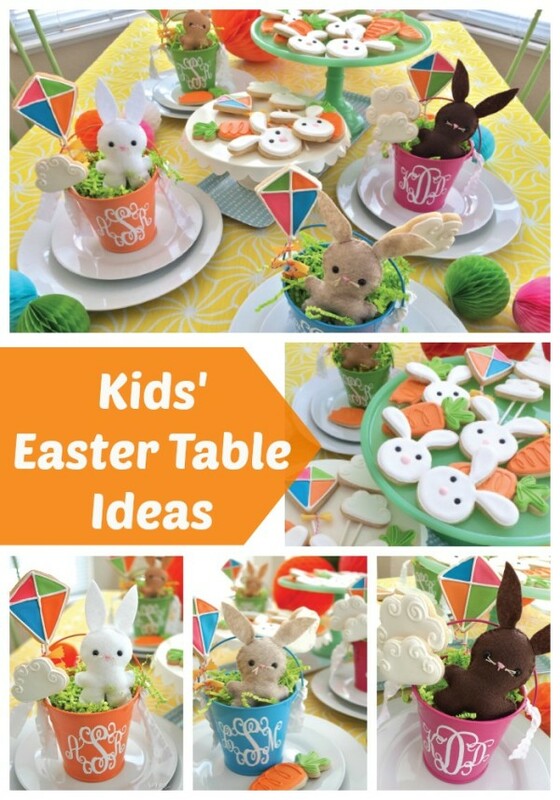 Brighten the kids’ day by giving them their own table decor complete with beautiful cookies and a fun stuffed bunny! Astonishing Cakes made the cutest little cookies: bunnies, carrots, clouds, and kites! CUTE! You can make your own adorable bunnies – or you can just find some little Easter-themed stuffed animals. Give each child their own little monogrammed tin buckets. Just stick a cookie pop in there along with some paper grass and the cute animal. It sure makes for a cute place setting! It doesn’t matter what you decide to do for the kids at Easter, as long as you keep it fun and simple. A little bit goes a long way and puts a smile on their face. They’d love their own Kids Easter Table because it was created by you (or the Easter Bunny) with lots of love! What’s your favorite detail about this Kids Easter Table? Let us know in the comments below! Check out these Easter Basket Filler Ideas for Kids! Check out these fun Easter features on Pretty My Party!